Rosacea is more common than you think. In fact, there’s a whole legion of helpful makeup tips for covering the redness. 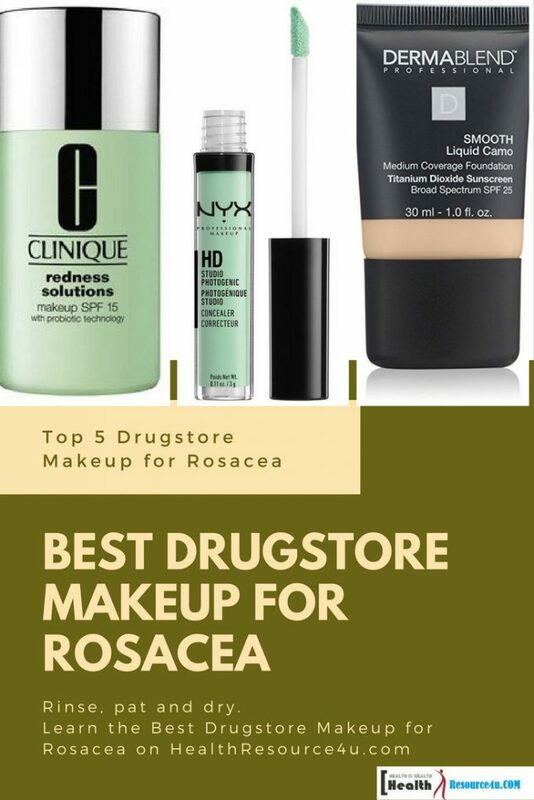 For the best Drugstore makeup for rosacea, you need to be aware of your options. Rosacea is a skin condition affecting 1 in 10 people in the UK. Characterized by red, irritated skin that responds to triggers such as food, sun exposure, and alcohol, rosacea is a common condition across a wide cross section of women. But fortunately, there’s makeup for rosacea to the rescue so you can be sure that the redness can be hidden and inner confidence is reignited. Medical treatment is the only way to combat underlying symptoms of rosacea and these tips can help you to look good. Talk to your doctor about how best to manage your condition, and when it comes to makeup for rosacea trust this useful guide for all your needs. Before makeup for rosacea is applied, you need to cleanse your skin. Opt for a product best suited to the skin type and check with your doctor about which cleanser is best for unwanted flare-ups. Pat your face dry with the soft towel and avoid rubbing the skin too harsh. You need to ensure that the moisturizer is gentle on the skin. Fewer fancy ingredients mean better rehydration of the skin, causing it to stop drying out. There is no need to bombard it with concoctions that can cause irritation. When you apply makeup for rosacea, moisturizing before that is a must. Countering the redness of your skin required a green tinted base. This green-hued base works wonders on the red areas. Check if the product is SPF 15 and suited for all skin type when considering makeup for rosacea such as foundation. Once the green tinted base is applied to red areas, the foundation that is suited to your skin color should be a perfect choice. Opt for a foundation that offers fewer chemical ingredients. Don’t opt for oil based products as these may not cover your skin effectively. To prevent skin irritation, a make-up brush needs to be used to apply the foundation. Ensure that you clean it after every use. A clean makeup toolkit works ffor everyone, but this is important if one suffers from skin breakouts especially. Antibacterial make up brushes are being sold online, though it may be more effective to use an antibacterial brush cleaner following usual brushes following each use. If areas need an extra touch of cover, a concealer a shade lighter than the skin tone needs to be used. Dabbing on the concealer gently ensures a clean blending brush. For achieving an even look, a yellow tinted mineral powder is a perfect choice. Such mineral powders are less likely to cause skin irritation and the yellow hue works to counter any chance of redness under the makeup for rosacea. Powders often collect in the fine line and wrinkles of mature skin. In this case, it is far better to blend the makeup well rather than using the powder, when it comes to makeup for rosacea. When an option for finishing touches of makeup such as eyeshadow and lipstick, it is important to ensure subtlety. Neutral tones are better when it comes to lipsticks because bright red shades will only clash with the redness in the skin. Bright eye shadows will produce much the same effect. A blusher is an unnecessary addition and it is better to introduce some ingredients and products to ensure sensitive skin does not break out into rashes. If makeup tips are not giving the coverage you need, try corrective makeup for skin conditions such as rosacea. 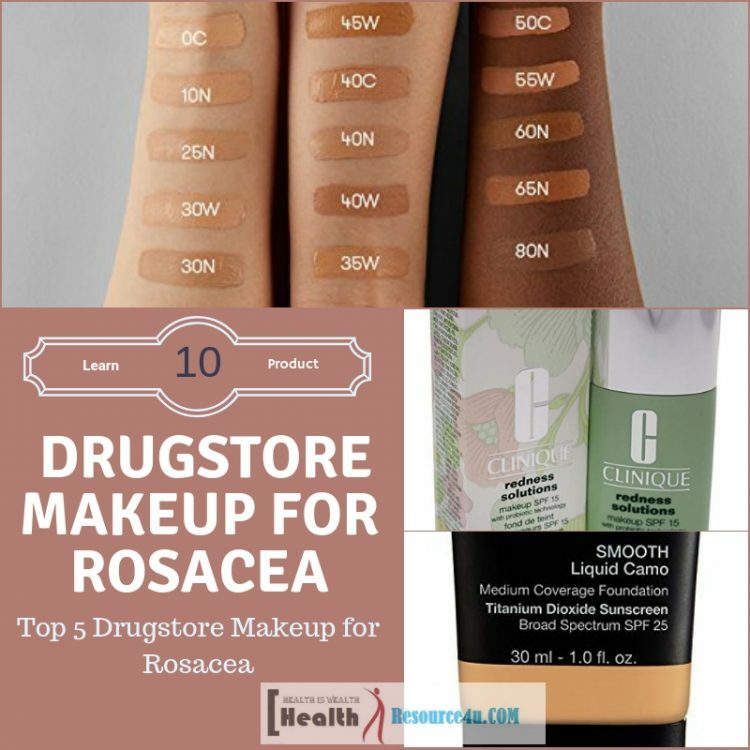 The best makeup for rosacea can be hard to find because while there are many foundations available in the market, you don’t want to look caked on or worse. It is important to have a skin care regimen that lowers redness more permanently, before makeup for rosacea can be applied. Treat your skin overnight because this is when it recovers at a more rapid rate. Check for products that deal with skin redness. When it comes to covering rosacea, application technique is as important as the product being used. Light pressing and patting the product on ensures you do not excessively blend it. This method will provide an even, natural finish. To ensure makeup for rosacea stays on well throughout the day, touch-ups may be required. Color correction powders such as mineral correctors can work wonders, but this may not be enough. Depending on the activity, the makeup can melt. The temperature variation can also create an issue. Giving the quick makeup wipe and starting the concealer and foundation again works wonders. The NHS holds that rosacea impacts 10 percent of the UK’s population, with fair-skinned people more likely and women patients more common than men. Around 43 percent of the ladies suffer from rosacea and 26% of the men suffer from it too. Those impacted by rosacea often suffer in silence. There’s a lot less awareness about such skin issues as compared to acne. While rosacea is a chronic skin condition, it may flare up or subside for a whole number of reasons. There are generally 2 types of rosacea namely the long time chronic and persistent redness and temporary, reacting redness. Frequent flushing gets bad with age in early signs of chronic persistent redness. Small tred bumps appear and leave an overall red base. Tackling rosacea may involve a visit to the GP and the dermatologist to assess skin and possible causes of treating the same. Seeking advice from a skin specialist or dermatologist is important. Numerous creams and gels can be used to topically treat the redness and symptom-linked flushing. For those with outbreaks, oral antibiotics can work well. There are some steps you need to take at home too. And if you’re thinking you’re alone, think again. Cameron Diaz, Amy Schumer, as well as Mariah Carey, are all rosacea sufferers. Before opting for a very-heavy camouflage, soothing skin from the beginning to create a smooth, regular base for makeup is vital. 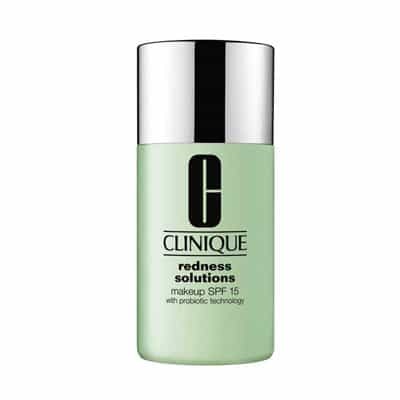 Redness reducing treatment can help the skin, as well as the mind, cool off. Stress is a cause of rosacea, so cooling and soothing your skin and mind can prove very beneficial. Opt for gently treating mask to help ease skin discomfort and heat sensations, improving microcirculation and reducing the appearance of redness. Combined with hot spring water, this soothes the skin and lowers irritation, The sucralfate works to heal and the glycol reacts to dehydrate decreasing the reactivity of the skin and ensuring it remain smooth and supple. Rosacea symptoms can, therefore, be targeted from different perspectives. When checking for topically reliefproviding substances , or natural extracts, don’t try fragrant or alcohol containing ingredients. Also dangerous to people with rosacea are natural extracts such as menthol, citrus, lavender, witch hazel,and clove. SLS and lanolin are also provided a big berth by rosacea patients. Nourishing treatment helps to support and boost the barrier of the skin. Topical probiotic substances can rebalance the bacterium on the skin’s surface providing a probiotic mask, moisturiser or serum to help in the process. Certain products even contain kefir and lactobacillus to promote excellent bacterial and soothe the swelling. Once the skin is soothed, you can opt for a corrective base. The primer averts redness and ensures the makeup for rosacea remains in place. This is a multifacted product with UV protection to offer simple, streamlining, reducing the chance of more irritation and providing the much-required sun protection. After all, exposure to the sun is a potent rosacea trigger. It is important to get a fragrance-free option for winter and mineral sunscreens work better than chemicals. Chemical formulas cause further burnout symptoms for rosacea sufferers. The green base slides on very nicely and smooths out the skin tone and texture. Sheer makeup is perfect if your skin is cooperative. For many rosacea patients, camouflaging the redness with ideal foundation works best. The balance needs to be struck between enhancing and concealing. Yellow toned shading enables those with rosacea to counteract the flushing. It is important to find a dermatological approved formula. This ensures that active ingredients are there to counter rosacea symptoms. Avoid rubbing too much when the base is applied and try to use thick and rich formulas as these can lead to an aggravation of dry patches linked with rosacea. Layering on light, mineral coverage and light brushing or pressing in the foundation creates a flattering finish and lower the risk of any further irritation or aggravation. Choose clean fingers or the softest brushes for the job. Opt for synthetic brushes as natural hair aggravates sensitive skin. Buffing in the base convincingly is important. Adding color can be tough when rosacea is acting up. You need to proceed based on individual consideration. A soft wash of color is ideal for dryed skin. Affordability and adaptability in terms of shade range and undertones are important. Natural lip color can also be a confidence boosting addition. Avoid red shaded hues for these can create a dramatic clash with rose tinted cheeks. Choosing a perfecting, moisturizing neutral option can be a better deal. Foundation also helps in evening out the skin tone and hiding flaws as well. For skin that has been impacted by rosacea, check for a mineral formulation. Mineral foundations lack ingredients and chemicals found in a typical foundation. Pure minerals, when applied to the skin don’t enter the deeper layers and lead to irritations. The finish reduces the appearance of massive pores for a finish that is perfect. Bare Minerals Original SPF15 offers shine-free sun protection with an SPF of 15. Finding a mineral formulation is easy with this brand. This is a foundation with loose powder with a mineral component. This lightweight, loose powder foundation provides the perfect zero-makeup look and lasts for up to 8 hours. With just 5 mineral ingredients, it promotes clearer, healthy looking skin across time. It provides sheer to full coverage and a naturally radiant finish. There are a total of 30 true-to-you shades. This has won awards from top beauty magazines like Allure and Glamour on account of this. With the expansive original and matte foundation shade range, there are 30 well suited shades. Get flawless, excellent coverage for your skin, with a tone and type to suit every kind of beautiful. This is wonderful for sensitive skin. The most popular mineral foundation provides protection of SPF 15 and combats imperfections without dehydrating the skin. This creates a flawless coverage with a luminous finish. This provides SPF 15 no chemical, mineral based sun protection. It is recommended by the Melanoma Cancer Foundation as a broad spectrum sunscreen. This product is created with 5 mineral ingredients. It promotes clearer, more radiant skin across an entire duration of time. Active ingredients include titanium dioxide of around 25%. Inactive ingredients include bismuth oxychloride, titanium dioxide, mica and iron oxides. The product diminishes the appearance of imperfections. It can last for up to eight hours and is available in 30 shades. This substance is , non-acnegenic, non-comedogenic hypoallergenic, and dermatologically tested. It is formulated without binders, fillers or parabens. These products are not tested as an animal product. 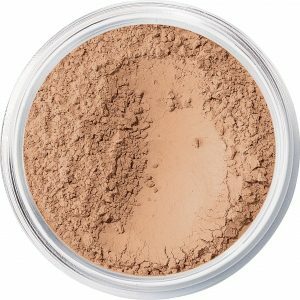 The only drawbacks of this active mineral foundation are that it does not stay long on the skin and does not yield full coverage. This pacifying liquid foundation provides even seamless coverage for 16 hours of makeup without smudging or any kind of transfer. Hypoallergenic and non-comedogenic, this is tested well. It addresses conditions like hyperpigmentation with ease. This ensures that the foundation does not cake or mask and the skin appears flawless and healthy in appearance. This is allergy tested, non-acnegenic, non-comedogenic, and fragrance-free and suited for sensitive skin. Product packaging varies as well. Active ingredients include titanium dioxide at 6.8%, and inactive ingredients like water, undecane, dimethicone, tridecane, glycerin, polyglyceryl-4 isotearate. Other inactive ingredients include magnesium sulfate, pentylene glycol. cetyl PEF/PPG-10/1,disodium stearoyl glutamate, hexyl laurate, dimethicone, disteardimonium hectorite, trihydroxy stearin, cellulose gum, aluminum hydroxide, acetylated glycol stearate, acrylates Copolymer, Ethylhexyl glycerin. It also contains titanium dioxide and iron oxides. This is a powerful makeup for rosacea for all. It is dermatologically tested and constitutes high-performance pigments, fragrance-free , allergy tested. This is a special makeup for rosacea. 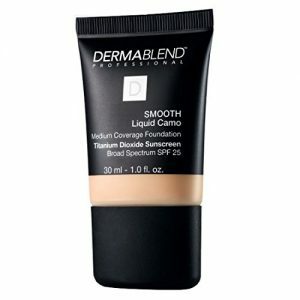 This foundation covers mild redness and blemishes. The foundation ensures to stay on the skin for sixteen hours. If one does not like the idea of touch ups when out, this is the best product for the purpose. It provides a seamless finish that does not cake or flare-up. One of the key reasons this foundation is excellentfor rosacea is its formula which allows the skin to breathe. Despite moderate coverage, it is not thick on the skin. With a sun protection factor of 25, this product offers moderate coverage and lasts long. The product is cost efficient.The application can be tough as well. Available in 12 more shades to accommodate a wide range of skin tones, this HD studio photogenic concealer disguises imperfections, under eye circles and discolouration without any caking or masking. The result is flawless, natural looking coverage one can count on.High definition photo concealer wand is an NYX Professional Makeup bestseller. This concentrated, emollient-dense concealer formula works like a charm, is non-comedogenic and offers medium to heavy coverage. This concealer comes in lavender for dry skin, green shade for neutralizing redness and yellow for circles below the eye. Water, Aqua, and Eau offer value. There’s trimethylsiloxysilicate, trimethylsiloxyphenyl dimethicone,euphorbia cerifera (candelilla wax), isononyl isononanoate, glycerin, silica, caprylic, olivate, phenoxyenthanol,capric triglyceride, sorbitan, Alumina, Tocopheryl Acetate, euphorbia cerifera, cera/Cire de Cadelilla, Caprlyl Glycol, Aloe Barbadensis Leaf Extract, Triethoxycaprylylsilane and Xanthan Gum. Other ingredients include titanium dioxide, iron oxide, Chromium Hydroxide Green,manganese violet, ultramarines, and Chromium Oxide Green. Providing moderate to natural coverage for larger areas of the face is important. It is also infused with hydrating and skin conditioning agents. The foundation has non-comedogenic formula. It contains skin conditioners and hydrators to boost skin texture. This formula is perfect on all skin types. Red spotting and areas in the face can be tough to hide. If reliance on the foundation alone is given, color correction concealer can even out the skin shades. The foundation dries up quickly. The foundation also tends to be cake and wears off easily. It cakes up so you need to work fast before settling on the skin. This foundation offers a matte finish that resembles your skin. Endowed with positive antioxidants, this foundation carries an SPF level 20. Available in 8 different shades, it blends with the skin really well and eliminates redness. Apart from protection from the sun, this foundation also minimizes UV damage. As there is no artificial chemicals and evenness of oil, the skin does not suffer from irritation. If you do not want the heavy makeup that comes with a liquid type foundation and want to offer your face a break from extensive makeup, this is just the right choice. An important thing to remember about mineral type foundation is that it can be easily blended. This product is available in as many as eight shades. It offers sun protection too. Rich in antioxidants, its mineral foundation is the perfect camouflage for the face. If it is not buffing properly, it can cake your skin and vice versa. This thick product is tough to apply for some users. Soothing oil-free makeup causes color correct flushing and blushing. Calming ingredients can minimize flare-ups. Excellent probiotic methods strengthens the barrier of the skin. This keeps environment damage to the minimum with SPF plus antioxidants. This soothes the redness of the skin with beneficial probiotic technology. On account of good and working bacteria, it protects the skin against environmental stress. This foundation is green shade which means it can color correct red face. It also yields the perfect sun safeguard. This offers sun protection with color correction properties. It provides coverage and is rich in probiotics technology. This makeup can cake easily and be a little difficult to remove. It also clings to the enlarged pores. As those with rosacea have extra sensitive skin, you need to locate products gentle and effective enough to manage skin issues. Prior to application, you must ensure your face is clean and so are the brushes and sponges. Stick with an easy makeup routine to ensure that your skin breathes. You must remember to apply makeup that can balance skin color. For red spots, green-tinted foundation or green shaded concealer can work really well. For the foundation, choose one that is free of oils and chemicals. 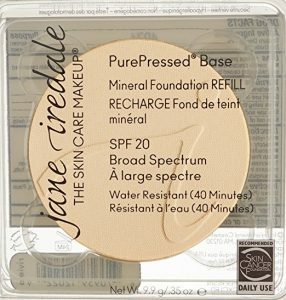 Mineral foundations work best for the skin for rosacea sufferers. Be aware that liquidy and creamy foundation can make your face itchy and irritated. Choose a light layer and commence with the middle of the face. Blending outwards, get an even and naturally normal finish. Avoid the use of fingers while applying makeup as this causes bacteria and grime to damage your face. A mineral-setting powder works well too. When it comes to blushes, it can get tricky for those with rosacea. As cheeks possess a reddish tint, making them look intense will not work. When it comes to blushes, opting for a soft like tone is important. Use pale pink and peach as these are good options. Lipstick needs to be less intense too. Opting for clashing red lips adds further redness. Rosacea can be a chronic condition. Managing symptoms can be tough. Makeup needs to be applied very carefully as it can trigger more symptoms like additional redness and inflammation if care is not taken. Hearing or reading about terms like comedogenic and non-comedogenic are something you’ll come across while researching makeup. Comedogenic refers to the particular property of the skincare ingredient or product which blocks pores in the skin and leads to acne, whiteheads, and blackheads. When you have rosacea, you need to stay away from products blocking pores in the skin. Your best option is to go for cosmetic products that offer oil-free, non-comedogenic properties. This type of makeup does not clog pores and leads to less intense rosacea symptoms. Along with these ingredients, products with perfume and fragrance must be avoided to prevent further irritation. Learn about different ingredients that can cause allergies in the skin. Though you may want to use these products, they contain ingredients that strip the skin off its natural moisture, causing the sensory nerves to cool and the skin cells that protect your skin from reddish tint to weaken. This causes more redness and inflammation that creates a real problem. Your favorite cleanser for the makeup product does not contain irritating ingredients. 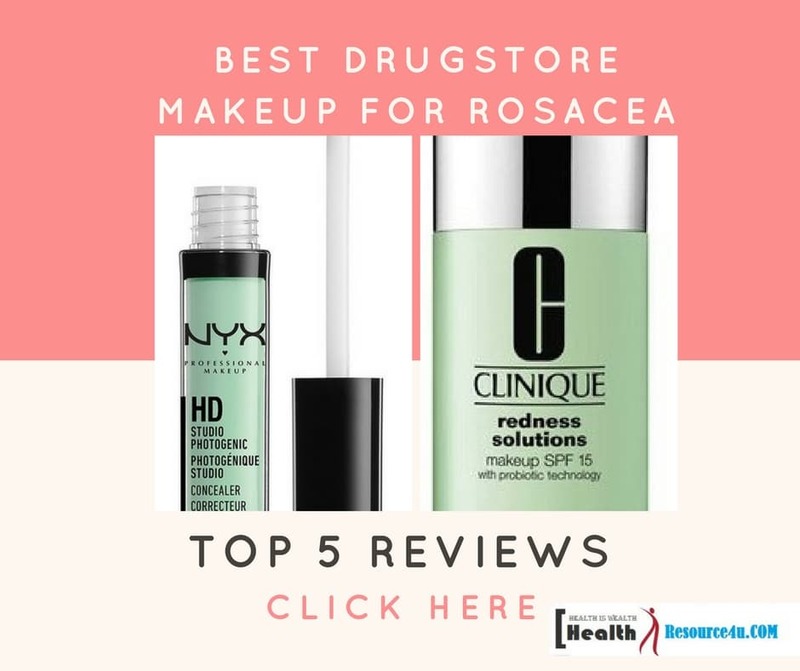 This is one of the most important steps you need to consider while choosing rosacea products. You can never know how a product will work out till it is tested on the skin. This is why you have to ensure ingredients above are not part of chosen makeup. The product can also be tested on the skin. A patch test is highly recommended if one has rosacea or sensitive skin. Applying the product on the side of your neck could work well. The skin of your neck is thinner though slightly more reactive, just like the face. If your neck shows no adverse reactions, the product is safe for your face. Cleaning and moisturizing are important steps in soothing and treating the skin. This helps to alleviate excess oil, dirt, bacteria and other unwanted substances. Rising with lukewarm water and a cleanser can yield superior results. Another important step is to moisturize and keep your skin hydrated, locking in moisture on your face. This supports the skin’s barrier function to ensure water remains in the skin and harmful elements out. This makes it tough for irritants and allergens to enter the skin and ensure the makeup for rosacea and dry skin are manageable. Makeup primer is the base for foundation to ensure makeup is smoother and lasts longer. Before the best makeup is applied, you need to have a primer with silicone ready. Using a primer with silicone smooth over the pores creates a gentle barrier between the skin and makeup. This causes the skin to appear flawless and lower the chances of irritation when makeup is applied. While there are a lot of rosacea substances available in the market, consider UVA ad UVB protection for additional benefit and preventing harmful UV rays of the sun from impacting your condition. Choose a few products to help you manage rosacea. Remember less is more when it comes to rosacea. Seeing that makeup remains uniform and light is a must. Applying thicker texture makes red spots on the face look less obvious. Another cardinal rule when it comes to rosacea is to go for mineral powder. Mineral makeup does not comprise ingredients that can irritate your skin. Mineral powders of leading brands are easy to use and specially formulated for those with rosacea. 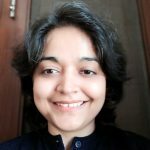 Check solutions and brands that work. Avoid powdered products that contain coarse particles which can irritate your skin. The powder can make your skin redder, inflamed and irritated. Instead, use dewy makeup such as gels or cream. These type of makeups are moisturizing and suited to smoothening the top of the skin. Choose the best products though this can be tricky especially numerous makeups in the market. Color corrective makeup is specially formulated for rosacea coming with broad-spectrum sun protection and a wide variety of tones for matching skin color. This also conceals redness and skin imperfections and gets you the flawless skin. When it comes to makeup, the options are endless. A brush, sponge or even fingertips can be used for applying color onto the skin. With rosacea, you need to be careful in selecting the right tools for makeup application. Antibacterial foundation brushes can be a good option. Sponges are hard to clean and can also be tough on the skin. When there is rosacea, clean tools are needed to prevent transferring dirt and bacteria on the face that can cost flareups. Will you apply blush when you already have rosy cheeks? The response to this depends on you. You can apply the moisturizer with sunscreen on the face. But if you really want to go for blush, try a sheer blush. This helps to add color to the skin and prevents flare ups. Ensure that you use a sheer blush made for sensitive skin. There are more makeup tips with rosacea, especially in the eye area. The eye can be sensitive which means extra care while applying in this area. If you have ocular rosacea, the eye is an area that needs to be gently handled.Wear eye makeup when the situation calls for it. Choose tested products to minimize irritation. Opt for mineral powder eye shadow if the eyes are susceptible to symptoms of rosacea. Eyeshadows and eye pencils in colors that are neutral are less irritating as against bold tones as there is less pigment. Mascara formula can be removed by rinsing with warm water. Finishing more makeup of the eye cream or mascara can have negative consequences for rosacea. If you are prone to an eye infection, there is need to replace eye makeup every few months. The redness can interfere with the lipstick color. This is another critical area of concern. Wearing lipstick adds color to the face. Avoid red and go for neutral shades, therefore. Q. How should skin be cared for, if you have rosacea? A rosacea facial care routine is offered by dermatologists commencing with a gentle and refreshing cleansing routine. Mild soap or cleanser which is not grainy or abrasive can be spread through with the fingertips. A soft washcloth or pad can also be used. The next step is to rinse the face with lukewarm water many times and blot it with the cotton towel. Never apply the makeup excessively or clean face harshly. The face should be dry for several minutes before applying topical medication or makeup for rosacea. Q. Which skincare products work best with rosacea? Rosacea sufferers have skin that is sensitive and easily irritated. Patients should avoid using the product that can burn, sting or irritate the skin. Many sufferers explain that clove oil, salicylic oil, peppermint, eucalyptus oil, menthol, fragrance, witch hazel, and alcohol aggravate the condition further. So, watch out for ingredients that contain these. Some have allergies to specific ingredients. Also equally important while purchasing skin care products is to avoid astringents and exfoliating agents. Choose a product that contains no irritating or necessary ingredients. Q. Should makeup products have sunscreen in them? Sunscreen blocks the full spectrum of ultraviolet A and B radiation making it useful for rosacea patients. Facial skin is susceptible to sun damage and flareups. So, you need an SPF of 15 or more and physical blocks which use zinc or titanium dioxide. Q. What is the best mineral for people with mild rosacea? Bare Minerals ensures that your skin does not cake and the makeup does not leave a line at the skin. Skin impacted by rosacea has a lot of different needs from skin care to cosmetic products. On account of these needs, you need to be cautious about what you apply on the skin. Sensitive skin of those with rosacea needs careful care. But there is no reason why women with rosacea cannot use makeup. Knowing which products suit your skin is an added bonus! Makeup for rosacea requires considerable skill when it comes to application. While selecting makeup for rosacea, you need to be alert on several scores. Check for the materials and ingredients in the product. Ensure that you moisturize and cleanse your face before applying makeup for rosacea.